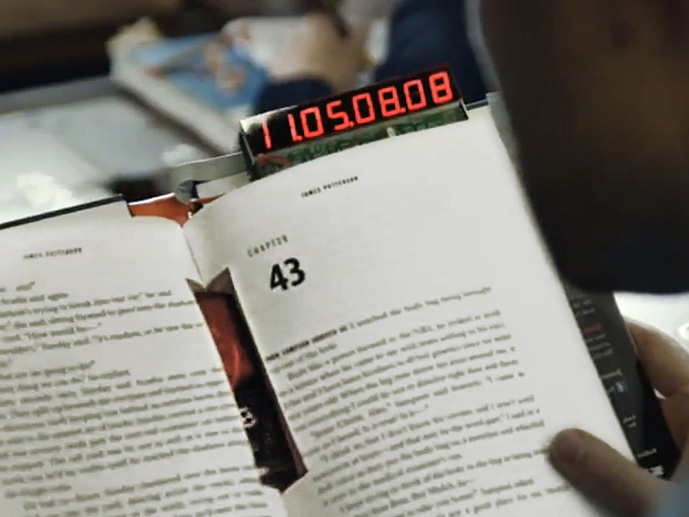 Thriller writer James Patterson recently released the world’s first self-destructing book. It was a gimmick – you could buy the ‘self-destructing’ version of his latest novel, which erased itself after 24 hours, or you could wait another few days and buy it in traditional book form. Patterson’s a former ad guy, so it’s not surprising that he’d come up with something like this, a stunt closely aligned to the next generation’s affections with self-destructing and disappearing content. And while we won’t have a true gauge on how effective this promotion was for some time, it’s definitely gained Patterson a lot of attention which he’d otherwise not have received – so should other writers be considering new publishing options like this? We’re living in extremely interesting times, from a communications perspective. The advent of social media has changed the way we interact – people are more connected, in terms of both reach and access, than ever before. This connectivity is unprecedented – we don’t know the full effects and implications of this new world, because we’re all in the midst of living in and exploring it. But what we do know is it’s different. People’s habits are changing, audience expectations and evolving, and in this, the whole structure of arts and entertainment is shifting. What we’ve long known to be the way of things is mutating before us. This is most obvious in publishing, newspapers being the easiest example, with print publications declining as more and more people get their daily news and information online. Books, too, are changing, with Kindles and eReaders becoming more commonplace. The flow-on effect of this is that the traditional publishing model is no longer as profitable – getting a book accepted by a major publisher has always been hard, but with an increasing amount of pressure on the bottom line, the money available for new writers is rapidly drying up. Some of those publishing losses are balanced out by lower costs – an eBook costs nowhere near as much to produce as a physical book, but the return is also diminished, because they can’t charge the same amount for a digital copy. Mostly, the result is flat, there’s really not a heap for publishers to gain from the shift to more electronic readers, but as with newspapers, where traditional outlets are getting beaten is by smaller, more agile competitors who don’t have the overheads and revenue requirements that are strangling the giants. The opportunities for new players – like self-publishers – are greater than ever – though it’s a hard path to reach any sort of significant audience. The film industry’s facing similar challenges – with more and more films available via illegitimate means so quickly online, we’re seeing fewer arthouse films get picked up by big cinema chains. This is why you’re seeing so many big-budget Hollywood films – remakes of sequels of remakes – over and over, at the movies. Because people can’t replicate the experience of seeing those epic movies at home – advances in home cinema and larger TV screens mean we can get pretty much replicate an arthouse cinema experience in our lounge room. But we can’t do massive sound, we can’t do 3D. As such, Hollywood is taking fewer risks on smaller projects, which means less opportunity for young filmmakers coming through – in the late nineties we had low-budget debuts from Darren Aronofsky (‘Pi’) and Chris Nolan (‘Memento’) that may not have even been released in the modern cinema marketplace. Yet, those are the films that got those guys to where they are now – Aronofsky’s ‘Black Swan’ was a cinematic masterpiece, and Nolan’s now one of the biggest names in movies, fuelled by the success of his Batman trilogy. With Hollywood taking fewer risks in smaller films, we may be missing out on the next generation of great film directors, and with fewer opportunities for up and coming artists, we could, effectively, see a decline in the quality of cinema for years to come. Unless we start looking elsewhere. What we have seen in the film industry is that more young artists are branching into new mediums. Where they may not have opportunities in film, more innovative and creative work is coming from platforms like YouTube, Vine and Instagram. Some of these artists have progressed from their online work to cinematic opportunities – Neill Blomkamp, the director of ‘District 9’, got his first big Hollywood break because Peter Jackson saw some of the short films he’d made in his spare time on YouTube. Josh Trank, who directed the excellent ‘Chronicle’ gained recognition through his short films posted online (including this Star Wars ‘found footage’ short). Trank is now slated to direct a new, standalone, Star Wars film, as well as the Fantastic Four reboot. The next wave of film-making talent is more diversified, spread across various mediums, pushing the boundaries of what’s possible in new forms – and as these two examples highlight, there can be significant benefits to just being present and proactive, posting content to build your profile and build recognition. While what we know as the traditional progression of film creative is changing, we’re seeing greater opportunities through access to cameras and editing/creation apps – if you’re looking for the directors of tomorrow, you might be better off checking out ‘Best of Vine’ than Sundance (note: one of the films that generated the most buzz at the most recent Sundance was ‘Tangerine’, which was shot almost entirely on an iPhone). So what does this mean for publishing? Really, it means that we need to consider ways to be more innovative with what we do. Patterson’s exploding novel may seem like a pretty gimmicky gimmick, but this is where we need to be looking as the next iteration of book publishing and connecting with our audiences. People these days are seeking more immersive experiences, with websites tied into content and apps tied into social media discussions. As more movie studios tap into this and get better at a 360 degree approach to their content, that immersion will become the expectation, and that expectation will extend to other forms of entertainment media. Exploding books are one thing, as a concept that might get you a bit more attention for your next book launch, but it’s not so much the idea itself that’s interesting about Patterson’s promotion. It’s the fact that an author like Patterson is innovating that’s interesting, and it highlights the need for all authors to consider new platforms, new processes, new ways to engage readers. The opportunities are there, the mediums are available – it may be worth taking the time to consider how to best use them to communicate and connect with your audience. 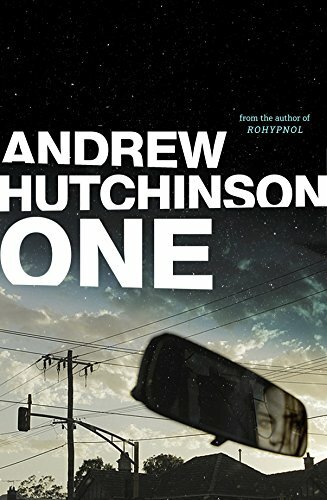 Great read, Andrew. You never cease to amaze with your insight.